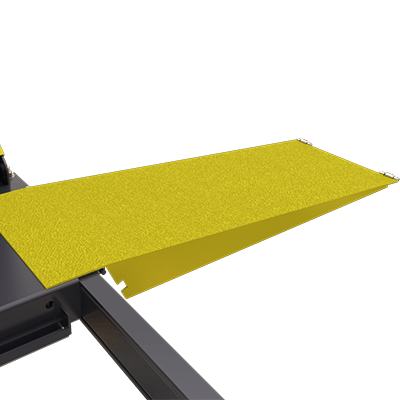 The extended steel ramp kit replaces the standard-length ramps. With a set of (2) low-profile ramps, quick-mount brackets and all the necessary hardware to make ramp make it easy to install and uninstall the ramps. These steel ramps are significantly longer than standard four-post lift approach ramps, so super-low-profile cars can more easily glide onto the runways without risk to the front-end bumper or chassis. Chose from four models, depending on which ​four-post lift you own.